Iceland will build up the fisheries and aquaculture division in the African province of Liberia, Front Page Africa Online reports. Iceland will give specialized help to the national fisheries and aquaculture staff, and also guarantee the change of smoking ovens. It will also provide support for the reduction of plastic pollution and technical training in water and sanitation across coastal communities. Support from Iceland will increase the value of local fishermen’s products, ensuring livelihood and creating job opportunities, according to a World Bank’s senior economist attending a recent international fisheries meeting over the weekend. 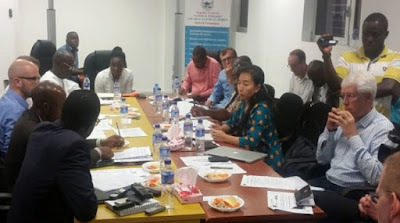 Liberia’s national fisheries and aquaculture authority general director, Emma Metieh-Glassco, stressed that the country’s fisheries sector has a lot of potential investment opportunities, asking private sector investors to maximize the chances, create more jobs and improve livelihood across coastal communities.